Bicycle NSW has launched a campaign calling for improved heavy vehicle safety standards to benefit all vulnerable road users. This follows the deaths of a male rider in Sutton in February, a female rider in March in Newcastle a female rider following a crash in March in Camperdown, and the deaths of a male pedestrian in Bathurst and a female pedestrian in Buchanan in March. In the past year two motorbike riders and nine pedestrians have been killed in heavy vehicle crashes and fatality trends are rising for pedestrians and people riding bikes. This comes at a time when increased numbers of construction projects in many parts of NSW have required more heavy vehicle movement. The purpose of the campaign is to make heavy vehicles safer, to seek federal government support for improved national regulation, and to help with the costs of upgrading trucks. There are a range of technical and behavioural ways to make the operation of heavy vehicles safer for vulnerable road users. Over the coming weeks Bicycle NSW will explore these in our content, along with the safety improvements achieved together with the efforts of trucking companies, governments and other stakeholders. One of the technical measures we have called for is side underrun protection. These devices usually look like rails and are fitted on the sides of trucks to protect vulnerable road users from slipping sideways under the wheels of trucks and trailers if a collision occurs. Some truck operators have voluntarily fitted these, for example Ron Finemore, Linfox, Coles, Australia Post and Woolworths. 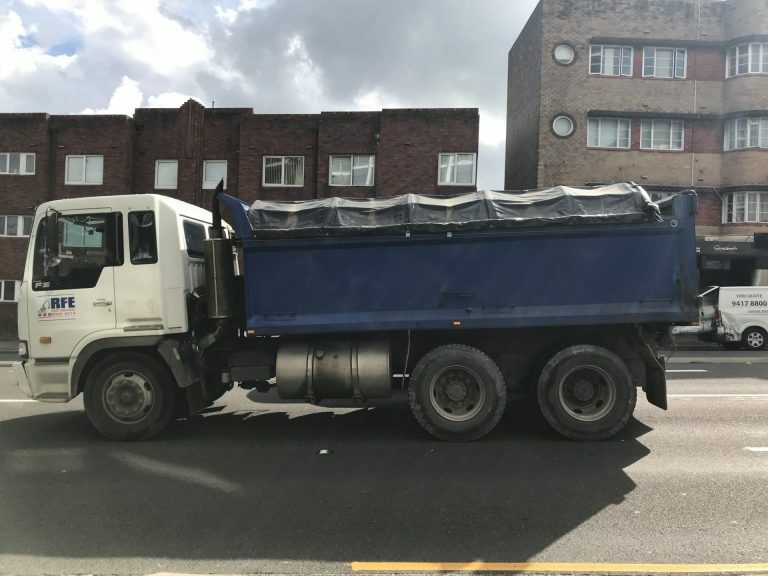 “We are asking people to share images of heavy vehicles in their environment as part of the campaign,” said Bicycle NSW General Manager of Public Affairs, Bastien Wallace. “This is a chance to highlight best practice and acknowledge operators who have prioritised road safety, as well as to show how many need a scheme to help meet the cost of upgrades,” said Bastien. Click here for more information about the campaign and how you can help make roads safer for everyone.